From the children's classic by L. Frank Baum. Dorothy lives on the American prairie. A tornado lifts her wooden home into the air with Dorothy and her dog Toto inside, bringing them to the magical Land of Oz. 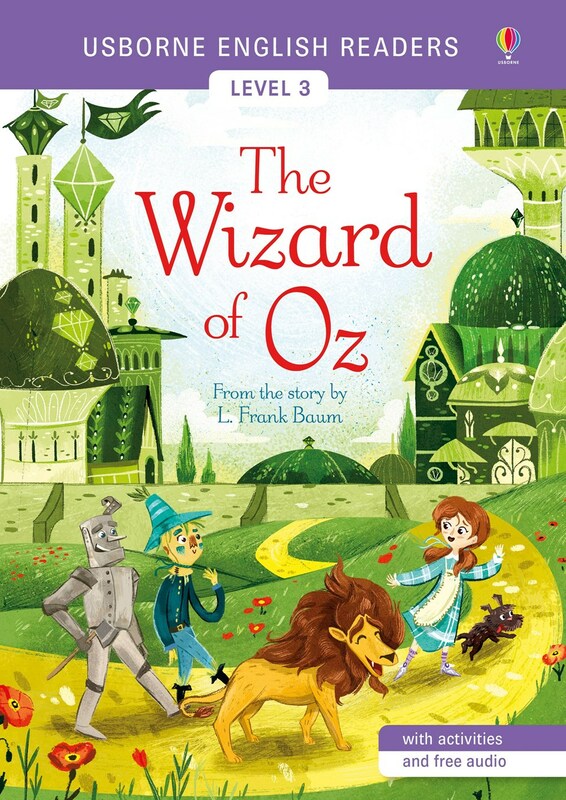 Dorothy makes friends with a scarecrow, a tin man and a lion, but she longs to return home. The Usborne English Readers series is a new range of graded readers in simplified English for younger learners. They include activities, glossaries and a full audio recording of the text in both British English and American English.